Does The Future Of Gaming Lie With Creating Our Own Games? So Far Cry 5 is just a few days from being released and it looks like more of the same from a franchise that I’m starting to grow a little tired of. But there is one aspect of the game that I think looks great, Far Cry Arcade. Its much, much more than just a map editor and will include assets from numerous Ubisoft titles including (of course) Far Cry, Assassin’s Creed and Watch Dogs with more added later via DLC too. You will be able to create both single, co-op and multiplayer modes where your own imagination will be the only limit. In fact the developers are claiming that “the possibilities will be infinite”. It all looks and sounds amazing and its free for all Far Cry 5 users too. But this whole idea has got me thinking if this is where the future of gaming lies. Of course Far Cry Arcade is not the first time something like this has existed in games – but it does look like it being one of the most impressive yet. We have had other games in the past where it has been up to us, the player to pretty much create our own content. There is the previously mentioned Minecraft as an example, a game often believed for annoying teens to make even more annoying You Tube videos for. You know what? I’m in my forties and I love playing Minecraft, I find it relaxing and the freedom the game gives you helps me unwind after a rough day at work and it takes me back to when I was a child playing with LEGO…I don’t make annoying You Tube videos though. Minecraft is pretty much the template that a lot of these types of games are help up against and rightly so to. But there have been so many of these over the years all doing what they do very well indeed. The likes of the amazing Little Big Planet series for example with a community full of dedicated players creating endless content for others to play. There are some seriously stunning Little Big Planet creations out there. What about Super Mario Maker? Allowing you to create your very own Super Mario levels and share them around the world. Map editors have come a long way over the years from the ‘good ole days’ of creating some Doom WADS to Far Cray Arcade. But hey, these game creation tools have been around a lot longer than that. I recall loving Shoot-‘Em-Up Construction Kit on the Commodore 64 from 1987. From the title you can most probably guess it was a game creation system that allowed you to create your very own shoot em’ ups. How about 1988’s Arcade Game Construction Kit which gave is the tools to create fast paced arcade style games. There was also Pinball Construction Set from even earlier in 1982. Quite honestly, there have been a tone of these things over the years and they were really popular in the 80s. It now seems that the idea if creating our own games it making a bit of a resurgence with developers giving us players the tools to just make our own games from simple map editing to more expansive and creative endeavours. But with more and more games using these type of open tools, how long until that is all we get, how long until we are being sold game construction sets like back in the 80s? Flat-pack gaming as I like to call it, we buy a new game and we have to put it together ourselves from the tools provided by the developers. I’m surprised we haven’t already had an influx of games just like the old construction kit/set series I grew up with seeing as how much more advanced technology has become since the 80s. We have had some titles like the ones previously mentioned that give us a game, but then also include creation tools to do as we wish with them – is the next step to remove the completed game itself and just give us a piece of software we’ll have to build ourselves? Personally, I love the idea of being given a blank canvas and the tools to create our own games, I can’t tell you the amount of hours I’ve lost messing around with Project Spark on my Xbox and how much I thoroughly enjoyed it too. I’m really not that fussed by Far Cry 5 as a game but I can’t wait to mess around with Far Cry Arcade. This entry was posted in LBoG: Editorials and tagged Far Cry 5, LBoG: Editorials, Little Big Planet, Little bits of gaming, Minecraft, Super Mario Maker, Ubisoft on 21/03/2018 by Steve Perrin. Before I get into this age old debate and offer my own personal perspective. I just want to paint the picture of how/why I decided to tackle this subject to begin with. I, like millions and millions of others, watched the official Fallout 4 trailer. I was impressed, very impressed. In fact, for a while I’ve been reluctant of getting into the next generation of gaming for various reasons. One being there have been no games that make me want to jump into the next gen…until now. Fallout 4 is the game that has sold me and I’ve been eyeing up both the PS4 and Xbox One over the last few days. I’ve still not made the plunge yet as I’m still not 100% sure which console to go for. Anyway, the point is that my seeing this trailer has finally convinced me to get into the next gen of consoles. I thought the game looked simply stunning but of course it’s not all about the graphics. Yet I was stunned to find there had been an interwebs “fallout” over the graphics of Fallout 4. Seriously, I do not get it. The game looks amazing from a graphics point of view, yet there have been millions of comments about how bad it looks. Just do a Google search for “Fallout 4 graphics” and you’ll find plenty of sites doing their own reports on this very subject and so many people complaining that the graphics look bad. It was all these sites and all these comments that made me want to throw my hat in the ring. Not only in defence of Fallout 4’s graphics, but in terms of graphics in general. At least they are not lying. My I bring up Ubisoft and Watchdogs? Now again. Not talking of the game itself but just purely of the graphics. 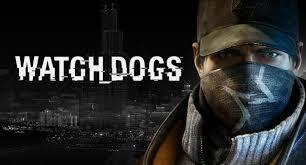 Does nobody remember Ubisoft showing off Watchdogs at E3 2012? Well if you have forgotten, take a look at this handy comparison video of Watchdogs being shown at E3 2012 to the final game actually running on a high end PC. It was pretty obvious that Ubisoft had given Watchdogs a graphical downgrade and were showing something at E3 2012 they just could not deliver. Now back to Fallout 4. As I previously said, I think the game looks stunning and I personally do not get the “bad graphics” comments that have been popping up. But even if I were to agree the graphics are bad (they are not), one could argue that Bethesda are not trying to pull a Ubisoft and actually showing what the game will look like…and I do not see that as a bad thing. I’d much rather developers be honest than lie and deceive. Even more so, this is an early trailer. There is a very good chance that game will look even better when released and the trailer is based on an older graphical style. As the game is not released until November 2015, that is quite a long time in the gaming world and a lot can change between now and then. Anyway, I think Fallout 4 looks amazing as it is. I somewhat agree…but I can not say that graphics are not important. I personally think graphics are massively important part of a game, I mean without them…you wouldn’t have a game at all would you? I’ve noticed an amazing amount of hypocrisy among gamers too. They will say graphics are not important, but then argue which has the better graphics; the PS4 or Xbox One? Then on top of that you’ll get the PC elitist brigade and their “PC is better than either” arguments. But if graphics are not important…why do most gamers argue of which one has the better graphics so much, why are there so many comparison videos on Youtube? Clearly graphics are important, otherwise these arguments and comparison videos would not exist. Again, I point you towards the recent Fallout 4 graphical debate. Why does this debate even exist if it’s gameplay and not graphics that matters? So for me personally, are graphics important? 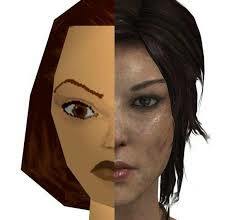 Now this does not make me a “graphics-whore” as I’m not saying that great graphics equate to a great game. That is a very different argument and one for another time. But to dismiss graphics as not being important is just plain ignorant or stupid. Graphics can set a style, tone and feeling for a game before you even play it. I’m going to bring up a handful of games people would consider have “poor” graphics on sight and explain why I feel they are quite the opposite. 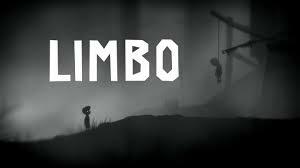 Limbo, a very simple action/platform/puzzle game with even more simpler graphics. As you can see for the screenshot, the game offered a minimalistic silhouette graphical style. Yet those graphics added so much depth and atmosphere to the game, it was amazing. I really do not think that game would have worked with photorealistic, 3D polygon, 18 million colour palette graphics. The graphics of Limbo were simple and minimalistic…and they worked perfectly. Ahhhhhhhhhhh, Minecraft. One of my favorite modern games in recent years. I have played this in front of people that do not know what it is and the first thing they say is “this look crap”. Does it “look crap”? I honestly do not think so, the blocky and pixelated visual style is just perfect. 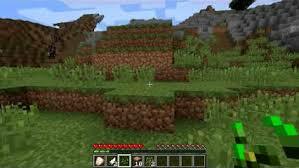 In fact, I have played Minecraft with various other skins from cartoon style to even more “realistic” versions and none of them work as well as the original graphics. Minecraft is meant to look blocky and pixelated…it just works. 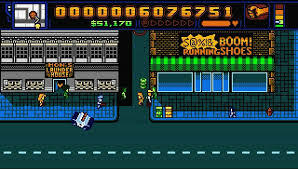 Retro City Rampage. If you have no idea what RCR is, allow me to educate you. It’s a simple homage to the original GTA games with 100’s of gaming and film references done in a NES graphical style. Just looking at that screenshot above, would you believe the game was originally released in 2012? Do the game’s graphics look bad? For me, not at all. The game is trying to emulate a very specific style and direction and these “simplistic” 8-Bit graphics are just perfect. Those are just three examples (there are numerous others) of a game having what many would consider “poor graphics”, but what I consider to be amazing and very apt graphics for the games. It’s this attention to the graphics that makes the graphics themselves just as important as the gameplay. Yes, graphics are important, they are even hugely important I would say. Graphics can tell you so much about the game, they can set a tone and atmosphere, they can be emotive as well as pleasing to look at. This entry was posted in LBoG: Editorials and tagged Bethesda Softworks, Fallout 4, LBoG: Editorials, Limbo, Little bits of gaming, Minecraft, Retro City Rampage, Retro gaming blog, Ubisoft, Watchdogs on 16/06/2015 by Steve Perrin.